A Craftsman home in Great Falls, Montana. I grew up in Southern California, in a neighborhood of single-storey ranch homes. Then I went to medical school in Los Angeles, where my wife and I bought a home in Pasadena. It was there that I developed a fascination with bungalows and Craftsman-era architecture. For the past 15 years, though, I’ve been living in Great Falls, Montana. Surprisingly, we have a beautiful community close to downtown that is populated with bungalow homes—although, given our winters, many of the front porches have been enclosed since the houses were built. 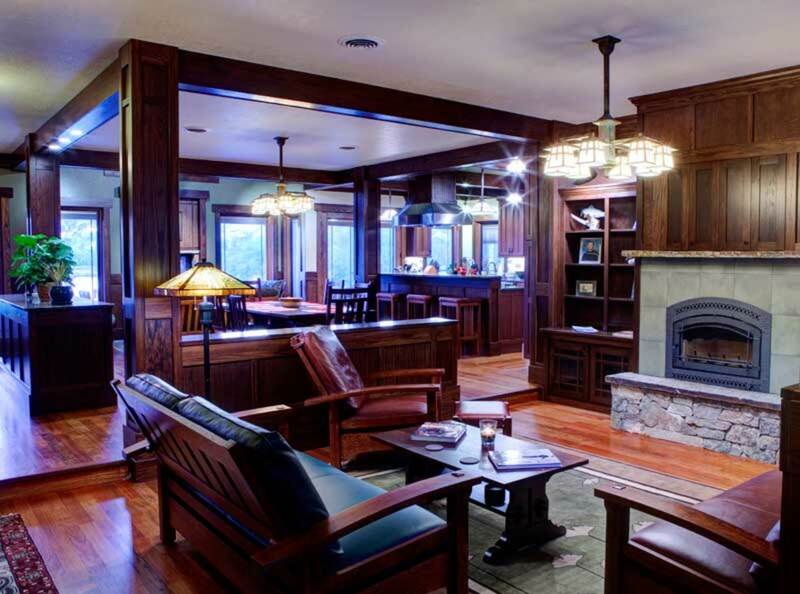 High-end homes in the new generation are, as readers might imagine, built in the “Western Rustic” tradition, many of them with exposed log walls. The bold door has substantial hardware. 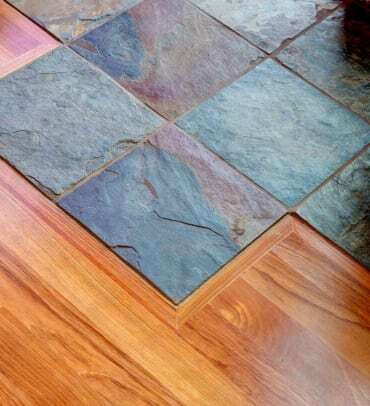 In the foyer, stone flagging is practical and handsome. The Celtic-knot design runner is from The Persian Carpet. A few years ago, I found myself “homeless” following a divorce. I looked at nearly 20 properties, none of which felt like home. So I purchased a small lot on an island in the Missouri River, and worked with a local architect to design a new Craftsman home. I hired a builder who specializes in custom homes and detailed finishes. 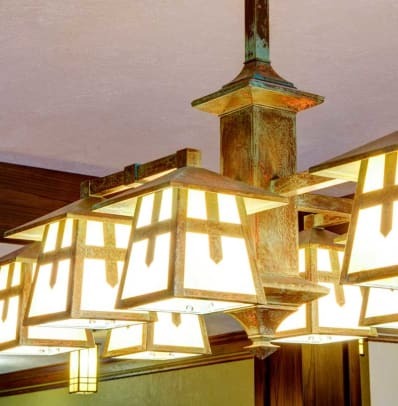 Neither the architect nor the builder, however, had ever done anything in an Arts & Crafts style before. My wife, Linda, and I are thrilled with the finished house, the product of much research and custom designing; it’s certainly unique in the Great Falls area. Outside, the house features a cedar-shake roof, cedar lap siding, and lower walls of moss rock ledge stone. Craftsman touches include cedar shingles in the dormers, knee braces supporting the roof’s deep overhangs, and pergolas both front and back. 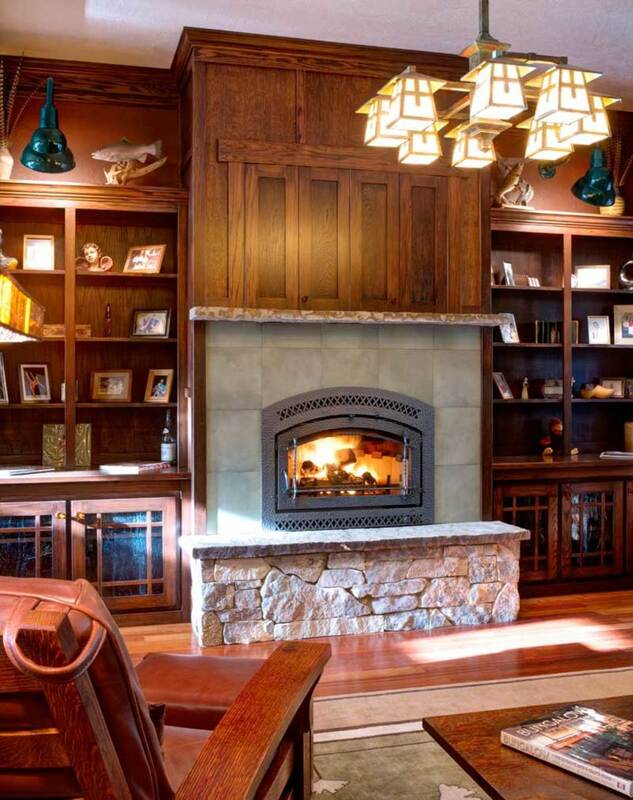 The fireplace is the heart of a Craftsman home; this energy-efficient model is by Travis Industries. Inside, the open plan is relieved and made intimate because we created rooms without walls, using varied ceiling heights, multiple finishes, furniture groupings, and low walls with boxed columns. Floors are Brazilian cherry, and we used pendant light fixtures throughout. First-floor walls are wrapped with flat-panel wainscoting in quarter-sawn white oak, except in the “wet rooms,” where the wainscots are beadboard. 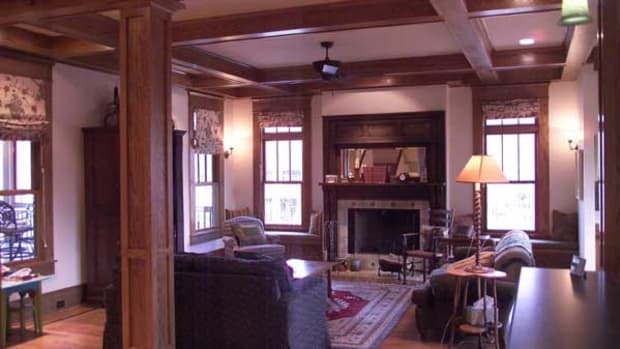 Other period-style features include box-beam ceilings, those colonnades that divide the living room from the dining room, and a built-up crown moulding that incorporates a picture rail. I even brought back the custom of having an operable transom window above each bedroom door, for ventilation and another period touch. This is a new house, so modern amenities were frankly included. The kitchen is “Craftsman industrial,” fitted with stainless-steel appliances but also an oversized pantry. There’s radiant heat under the flooring, modern wiring and cable, and a big, two-car garage. 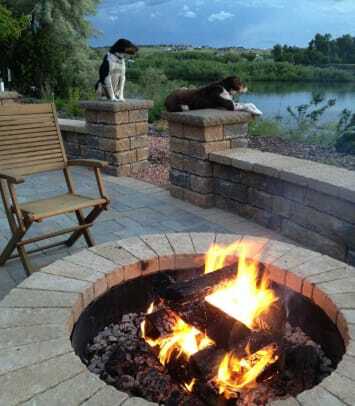 With a view that overlooks the Missouri River, we had to include an expansive outdoor patio with a gas grill and a firepit; I’ve also planted an herb garden there. Despite modern updates, the functional house resonates as Craftsman. I credit both my architect, Ryan Smith (who’s now with Nelson Architects in Great Falls), and contractor Lee Sowers, who was happy to collaborate in creating a modern Craftsman home. Building took a little more than two years, as it includes custom millwork and finishes: five-panel doors, wainscots, casings, and trim. Posts and beams create separate spaces in the open plan, mimicking the colonnades common to period bungalows. Like the house, the furniture is not antique but a celebration of today’s revival, with work by Warren Hile, Tree Crowns, Wood Revival, and Cherrico. Lamps, rugs, frames, and accessories came from Brass Light Gallery, Dard Hunter, The Persian Carpet, Mitchell Andrus, House of Antique Hardware, and other contemporary sources. I like the era’s iconic motifs: Morris chairs, ginkgo leaves, Celtic knots, wrought metal. 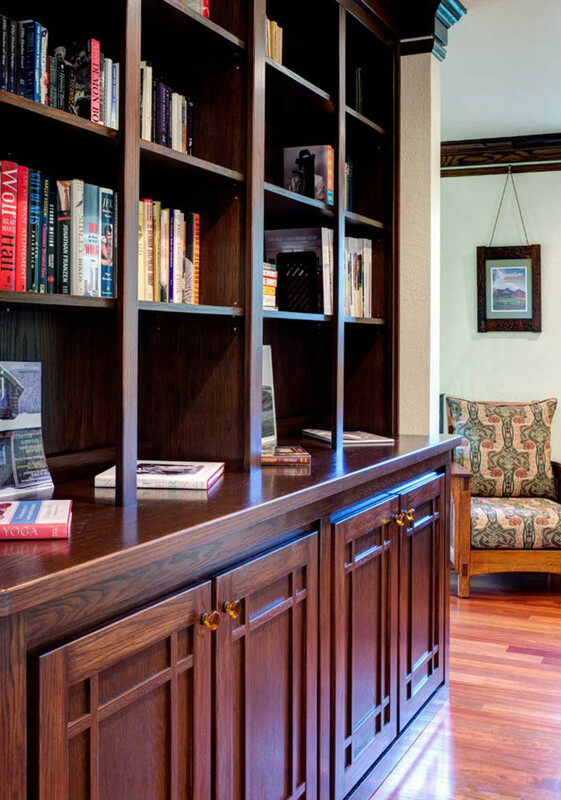 Many of my ideas and sources came from reading Arts & Crafts Homes for years. The crossed-corner muntin detail in bookcases has Prairie School antecedents. Floors are Brazilian cherry. 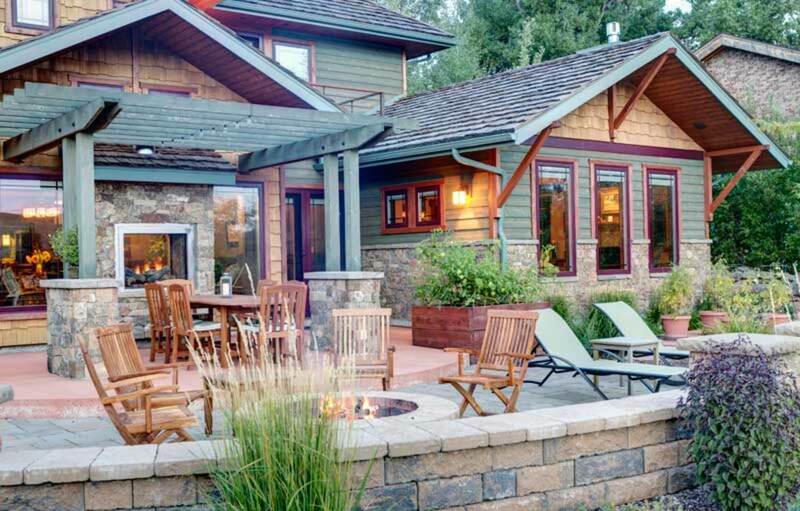 I never doubted my desire for a Craftsman home, but I did wonder how it would play in Montana. I needn’t have worried! 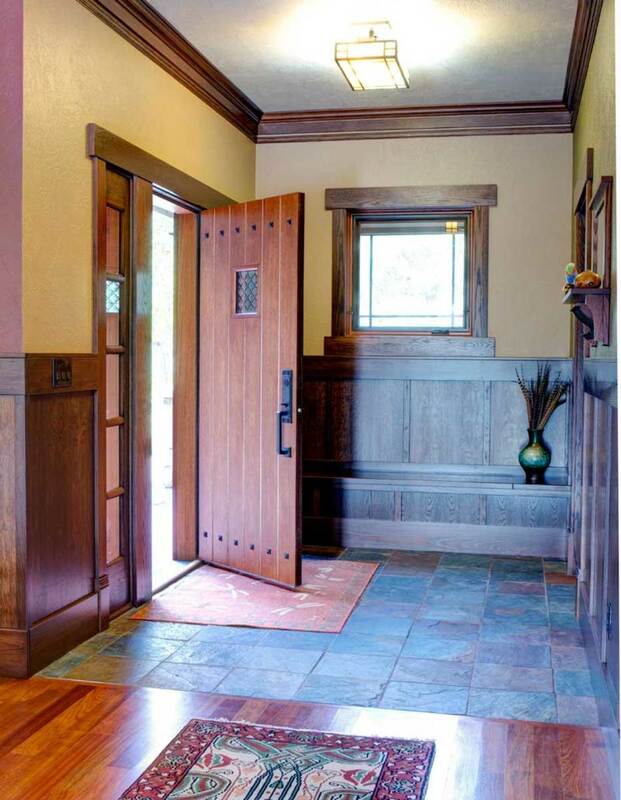 My house has already been featured in our local Parade of Homes, which was met with enthusiastic response. 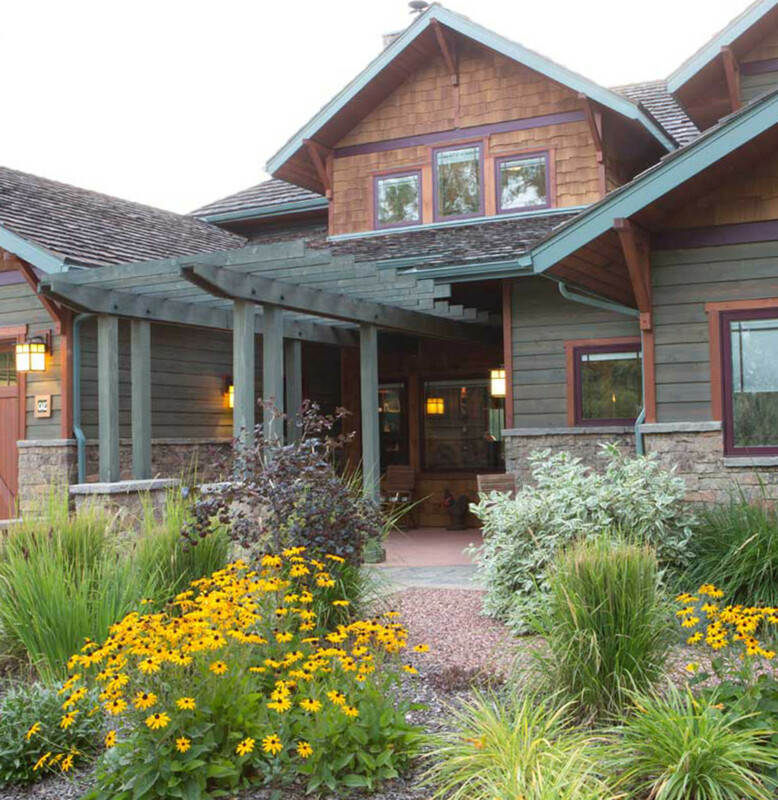 A photo of the house made the cover of the lifestyle magazine Signature Montana. Real cedar shingles and lap siding cover the walls of this house that also incorporates natural dry-laid stone. (Stacked manmade pavers border the rear patio.) Cedar roof shakes are especially thick and treated with a fire retardant. Shingles in dormers and gable pediments are decoratively laid with staggered butts. The multiple gables, deep eaves held on knee braces, and open-roof pergolas front and back are elements familiar from Craftsman bungalows and Arts & Crafts homes. Out back, where there is a splendid river view, the old-fashioned pergola shades a large patio complete with firepit and gas grill. 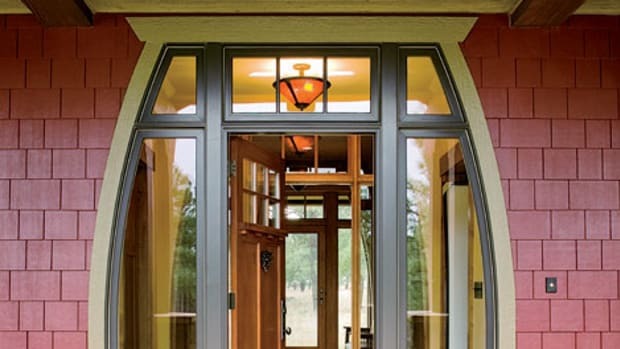 This contemporary bungalow in Flagstaff, Arizona, is a lovely and livable interpretation that relies on a repetitive arch and Native American motifs. Built 2005–6 in Marietta, Georgia, the owner was instrumental in the design of a new brick house that evokes the bungalow era. An enlightened architect's interpretation of British Arts & Crafts precedents, for a house in New Jersey.